Admit it. You want healthy, glowing skin. But are you taking good care of your skin? Are you eating healthy, with lots of fresh fruit and vegetables? Are you using soap that is perfect for your skin? Are you using the right kinds of beauty products? Lastly, are you getting enough sleep? As we’ve already touched on here at Design the Lifestyle You Desire, sleep is vital for a healthier, happier, and more beautiful life. It is also important to healthy, glowing skin. Lack of sleep is bad for your skin. Cosmopolitan explains that your skin does not get the full nourishment it needs when your snooze time regularly falls short of the required 7–10 hours. Cosmopolitan also warns that inadequate sleep lowers your skin’s pH balance, which then leads to an imbalance that makes it harder for your skin to produce the moisture it needs to look fresh and glowing. The end-result is dry, uneven skin. Kathy Smith claims that sleep deprivation causes a spike in the release of the stress hormone cortisol, which inflames the skin, making it less firm and elastic, and eventually causing the formation of lines and wrinkles as well as dryer and thinner skin. The Health Orange points out that people who are regularly sleep deprived tend to have duller, dryer skin because their bodies are unable to produce collagen. More sleep, less stress. According to Allure, less of the stress hormone cortisol is secreted by the body when you sleep more, and that’s a good thing for your skin! Cortisol, as mentioned, robs the skin of its firmness, glow, and elasticity, and less of it means the skin will stay firm, elastic, and glowing for a longer period. Cortisol also makes it hard for your skin to regenerate, so less of it means your skin will be able to heal itself better. More sleep, more collagen. WebMD explains that the skin creates more collagen during sleep, and more collagen means a plumper, firmer skin that is less likely to wrinkle. More sleep, more glow. WebMD also points out that blood flow to the skin gets a mighty boost during slumber time, and this enhanced blood flow makes the skin look all fresh and gives it a glow. Pull out an all-nighter and your skin will look dull and ashen the next day. More sleep, better defence. Skin cells produce more protective antioxidants for the skin during sleep. These antioxidants, in turn, help reduce the damage inflicted by harmful UV rays from the sun. More sleep equals balance. As mentioned, lack of sleep lowers your skin’s pH balance, thus creating an imbalance that makes your skin drier and flakier. Adequate sleep solves this problem every time, all the time. So go ahead, doze off earlier than usual and wake up late from time to time. If you have trouble shutting off, Leesa have provided a sleep guide with useful suggestions. This sleep guide offers simple but valuable tips like cutting down on caffeine and alcohol, dimming or turning off the lights, and disconnecting from technology are just three examples on how to get a good night’s sleep. There is also a section on eating right, which is important not only for quality slumber time and healthy, glowing, fresh-looking skin but more so for a happier, healthier, and more beautiful life. 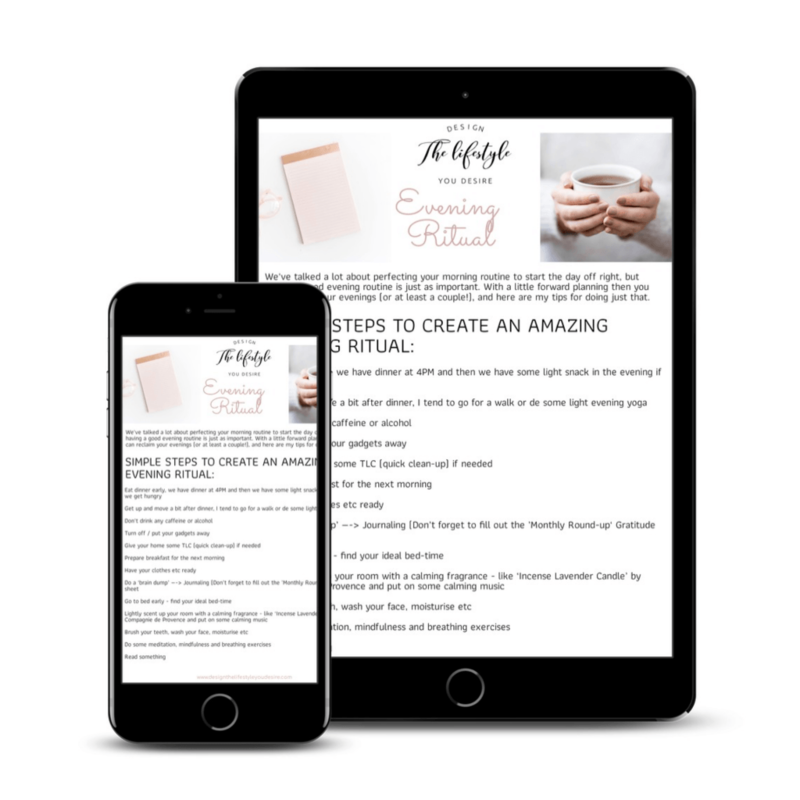 Download the #FREE Evening Ritual Checklist!